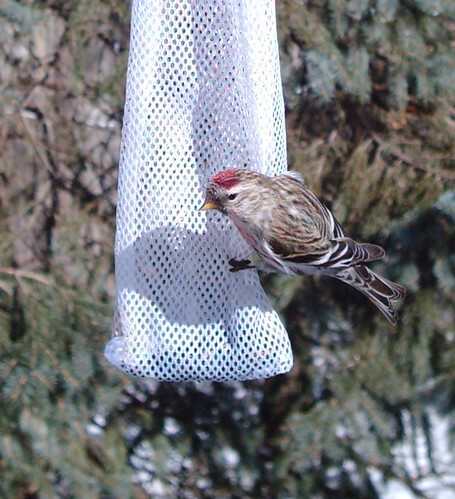 Today our Wingscapes Birdcam captured a Common Redpoll snacking on nyger seed among the usual American Goldfinches. This is the 15th bird to be snapped by the birdcam. These birds are usually sparse in Northern Illinois but this area is seeing a finch invasion this winter. How cool is that? This entry was posted on Friday, February 6th, 2009 at 9:06 pm CET and is filed under Birds, Foto Friday, Illinois	with tags . You can follow any responses to this entry through the RSS 2.0 feed. You can leave a response, or trackback from your own site.